Abu Dhabi: Construction started on the UAE’s first tyre-manufacturing plant in Abu Dhabi, according to an announcement by Abu Dhabi Ports on Tuesday. Developed by Chinese tire manufacturer Roadbot with a total investment of Dh2.2 billion ($614.37 million), the factory is being built in Kizad’s China-UAE Industrial Capacity Cooperation Demonstration Zone and is expected to be fully operational by October 2020. The project was launched last year during the visit of Chinese President Xi Jinping to the UAE. Spread across 275,000 square metres, the factory will have an initial annual production capacity of three million passenger car radial (PCR) tyres and one million truck and bus radial (TBR) tyres, with production of PCR tyres increasing to 10 million by 2022. 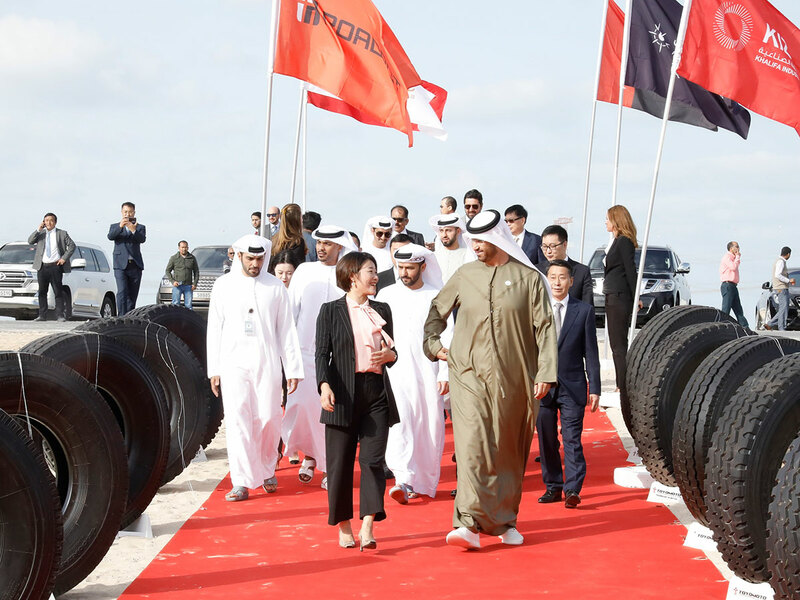 Dr Sultan Al Jaber, UAE Minister of State and chairman of Abu Dhabi Ports, and Roadbot chairwoman Zhang Yingzi were present during the ground-breaking ceremony at Kizad. “The Roadbot tire factory will make an important contribution to the UAE’s manufacturing base as part of our leadership’s long-standing strategy to diversify our economy. Today’s groundbreaking also demonstrates the increasingly close ties between the UAE and China, and reinforces the UAE’s role as a key partner in China’s Belt and Road initiative,” Al Jaber said. The new project is expected to create up to 1,200 new jobs and support the development of the automotive industry in the UAE. “Roadbot will connect Abu Dhabi to global and regional automotive manufacturing demand, joining over 19 Chinese companies that have signed agreements to invest over $1 billion [Dh3.67 billion] in the demonstration zone established within the Kizad,” said Captain Mohammad Juma Al Shamisi, CEO of Abu Dhabi Ports. The development comes at a time Chinese companies are investing heavily in the UAE. The economic relationship between the two countries was recently strengthened with the inauguration of the CSP Abu Dhabi Terminal at Khalifa Port positioning Abu Dhabi as the regional hub for Chinese firm Cosco’s global network of 36 ports. The deal further connected the emirate to the major trade hubs along the Belt and Road Initiative. Currently, global automotive brands such as Toyota, Jeep, Dodge, Fiat and Honda operate volumes out of Kizad’s automotive cluster.